This one has been an ongoing problem for at least several months. 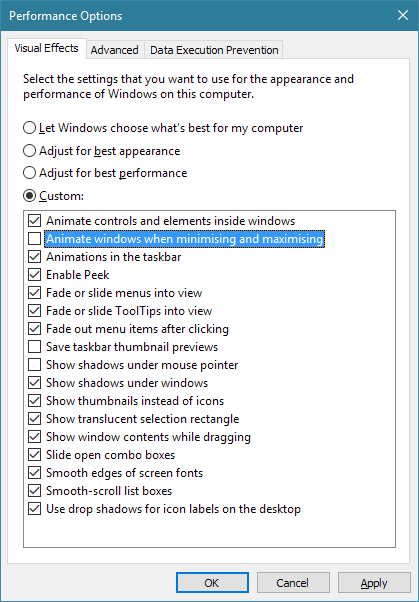 I have been able to reproduce it on every Windows 10 PC I encountered, and there are references to the problem all over the internet. And yet the problem still exists on a fully up-to-date installation of Windows 10. 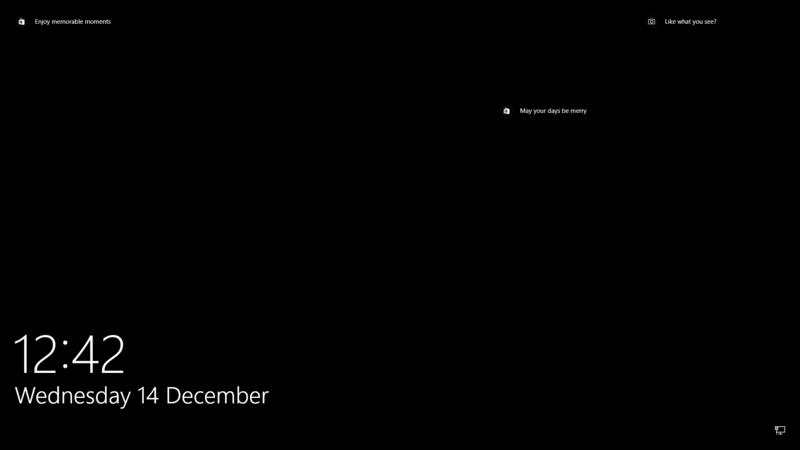 As evident, the lock screen is a mocking blackness which still has the image captions for the Windows Spotlight image that it is meant to be displaying. Further mocking ensues when proceeding to the logon screen, as the background image appears while the captions and ‘Like what you see?’ links disappear. Rating the images becomes such a palaver, you don’t bother.